Dr. med. dent. 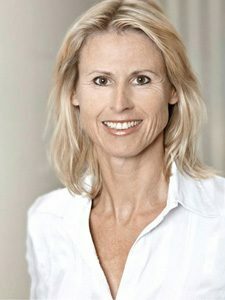 Alexandra Fischer studied dentistry between 1985 and 1990 at Heidelberg University, at the end of which she attained the license to practice medicine in December 1990. She completed her doctorate in July 1991. After working for two years as an assistant to Dr. Branko Kasaj (Deutsche Gesellschaft für Funktionstherapie) in Neustadt/Weinstrasse, she paved the way to opening her own practice in the years that followed by attending numerous advanced training courses extra occupationally. She then took this step in October 1996 in Karlsruhe-Durlach as part of a joint practice with a focus on prevention, functional diagnostics/therapy as well as aesthetic, conservational and prosthetic restoration. After 3 months shadow working at one of the most famous practices in Switzerland (Velvart/Meyenberg/Imoberdorf, Zürich), she relocated her practice in 2000 to Frankfurt and Bad Homburg, where she cemented her specialisation in microscopic root canal treatments. After submitting numerous documented treatment cases, the Landeszahnärztekammer Hessen (Hesse Dental Association) certified her as a specialist in endodontics.